Myriad is answering patients’ most pressing questions about disease. 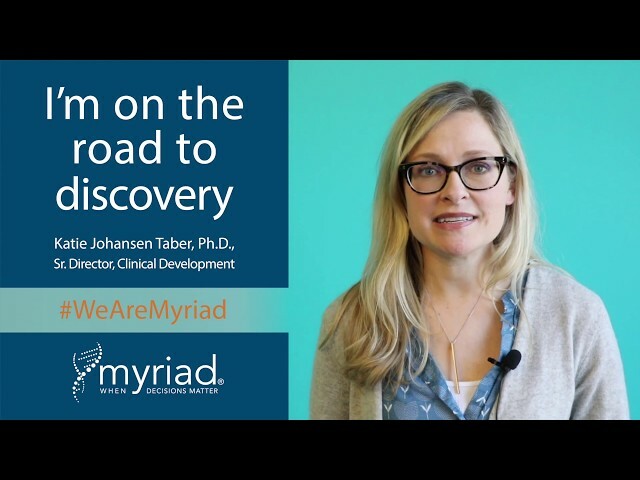 Myriad has the deepest diagnostic pipeline across the disease spectrum. At Myriad, we’re leveraging our unique expertise in sequencing and analysis to better understand human disease. 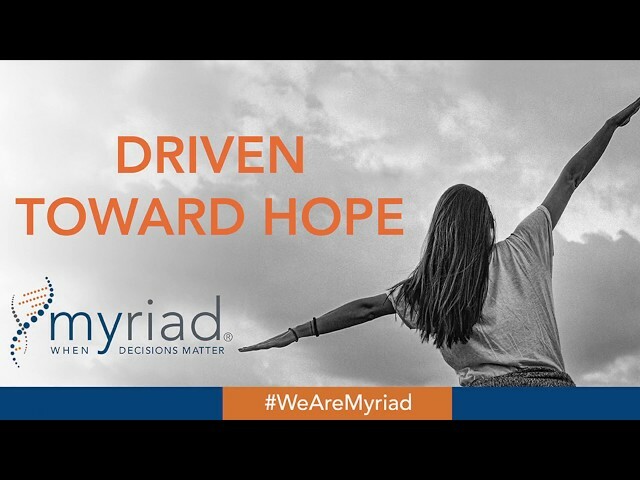 The Myriad myRisk Hereditary Cancer test is a 35-gene panel that identifies an elevated risk for eight hereditary cancers. GeneSight meets a significant unmet clinical need and is the leading product for psychotropic drug selection. The Myriad Foresight Carrier Screen is systematically designed to maximize the detection of at-risk couples for a pregnancy affected by inherited conditions. Katie is passionate and dedicated to the work she gets to do every day. Learn more in our latest employee spotlight.